Are you looking for a reliable and dependable plumber near Simi Valley? 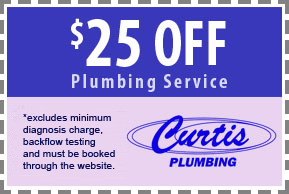 Here at Curtis Plumbing, we are proud to boast that we have the most experienced and honest plumbers in the industry. 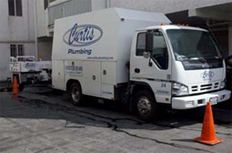 Customer satisfaction is our main goal; we have been serving the area for 72 years while using the most technically advanced plumbing equipment and techniques available. We’re here to provide quick and professional plumbing repair services for all of your plumbing needs. Whether you are experiencing a leaky faucet, a simple drain stoppage, or a loud and out of control toilet, you can always count on us to be there within the hour to fix the problem! If you’re tired of looking for a company to hydro-jet your main sewer lines or your area drain lines in your back yard, look no further! Simi Valey Plumbing has state of the art Hydro-jetting equipment to get the job done right the first time. If you have been looking to replace your old water heater then look no further than our professionals to help you through the process. Our plumber will arrive on time to inspect your water heater and make professional recommendations on how to proceed in replacing or repairing your water heater. If you are looking for a more efficient water heater then we can install a tankless water heater. You can choose between a gas and electric tankless water heater. Customer satisfaction is our main goal and we always use top of the line quality materials that are backed by manufacturer warranties. We look forward to helping our customers come to a quick and cost effective solution to all of their plumbing needs near Simi Valley. Please feel free to call us or contact us with any questions.